A Day with SpongeBob SquarePants: The Movie is an unproduced, "unauthorized" mockumentary that was to be distributed by Reagal Films and MVD. The film was cancelled, but the creator behind the film is reportedly still planning making the film through a crowd funding effort. The creator of the film (going under the pseudonym "Mr. Orange" for privacy reasons) wanted to create a family film that paid homage to the John Hughes films he liked when growing up. He wrote a script and reached out to a number of producers, including Jonathan Salami, who had been involved with a number of films associated with distributor Reagal Films. However, after discussions with Salami and many others at Reagal, it was determined that the film would go way over the budget that would be given to him. Mr. Orange was also hesitant to make the film out of fear of legal concerns from Nickelodeon or Viacom, but after talking with a lawyer, he was told that he could make the film if it was a parody; it would also help if it was live-action and clearly acknowledging that it was completely unofficial. After talking with his lawyer, Mr. Orange set out to create a cover to pitch to distributors and producers. He commissioned an illustrator named Jorge Pacheco to create a drawing that looked similar to SpongeBob’s iconic pineapple house. He also purchased a stock image of a boy in an orange shirt jumping. After his pitch cover received positive reception, distributor Reagal Films offered to help him by posting it on Amazon to see if there would be any interest via pre-orders. The film was also given a barcode while it was in pre-production. However, the production of the film was still facing budgetary issues; therefore Mr. Orange put the movie’s production through development hell. On August 3, 2016, it was announced that a crowdfunding effort would be launched in September of that year to produce the movie, but so far, the crowd-funding effort has not actually happened yet. Several users on The Lost Media Wiki put together a search effort on a now-locked forum thread to find the "lost" mockumentary. The search gained the attention of the news site Gawker  and YouTube personality RebelTaxi, who made a notable video about it. French website Motherboard  also talked about this "lost" mockumentary as one of the most searched-for pieces of lost media after Cracks had been found. The search effort has been featured on Bedhead Bernie's Animation Warehouse. 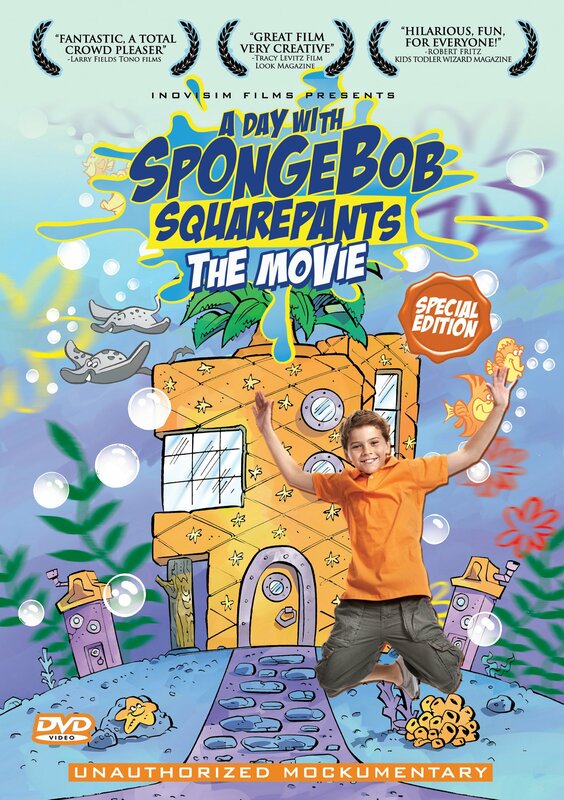 Please note that the information in these videos and articles is now outdated and was speculative regarding Reagal Films, its employees and the many other theories surrounding A Day With SpongeBob SquarePants: The Movie. On May 6, 2016, Lorenzo Holley was successfully contacted (Bedhead Bernie found an associated phone number in a free classified ad). In the calls, Holley said that the film would be released through some sort of crowdfunding effort. He also denied that Reagal's official website hosted malware. As of yet, the crowdfunding effort has not been launched. On August 3, 2016, Bedhead Bernie & the group Ongoing Mysteries made two concluding videos for the search after contacting Mr. Orange. He clarified that Reagal Films was only a film distribution company and was not a front for a money laundering scheme of any kind. Among debunking many other theories surrounding the film's search effort, he also released five pages of the undeveloped film's script, all of which can be viewed in the videos below. Conclusion video that includes a script reading and interview with the film's creator. Beadhead Bernie's first video on the topic. Ongoing Mysteries presentation (includes calls from Lorenzo Holley). The original video announcing that Lorenzo Holley had been contacted. The test cover for the DVD.